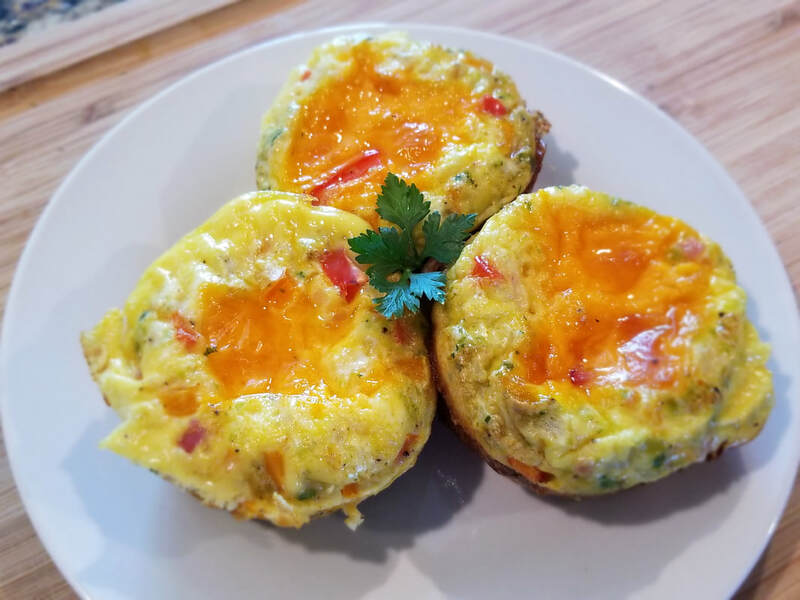 Eggs are pretty much a breakfast staple for many cultures. However, the way it's prepared can be enjoyable for any time of the day. With that being said, breakfast is considered to be the most important meal of the day. Our busy life styles tend to skip out on this very necessary meal and breakfast is way too often neglected. I can attest to this on more occassions than I can possibly count. 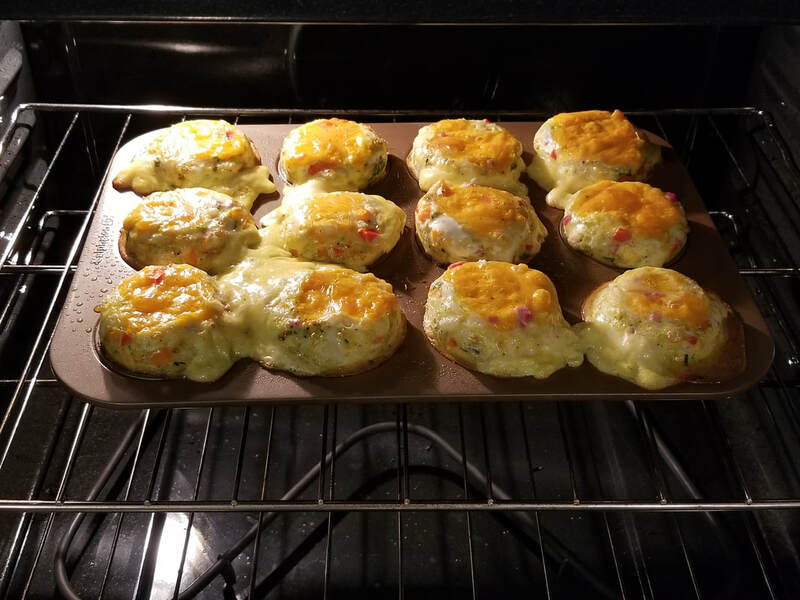 This particular recipe takes into account these factors combining dairy, protein, and vegetables all into a muffin-sized meal. 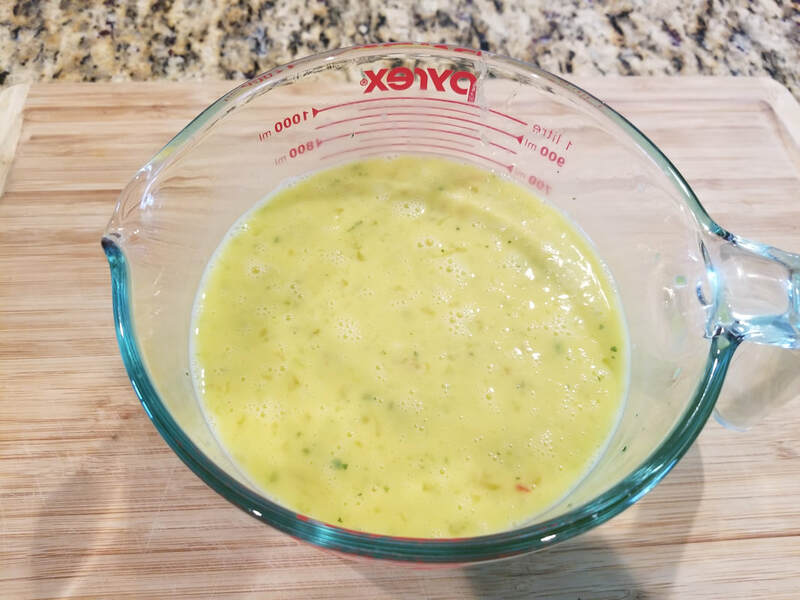 It can be made in advance for the next few days or stored in the freezer, taking it out just when you need it. Most importantly, it tastes great! Another plus is that this recipe is totally adjustable to fit your liking when it comes to the fillings. The possibilities are endless. Try this recipe for you or your family to enjoy. 1. Preheat the oven to 350 degrees. 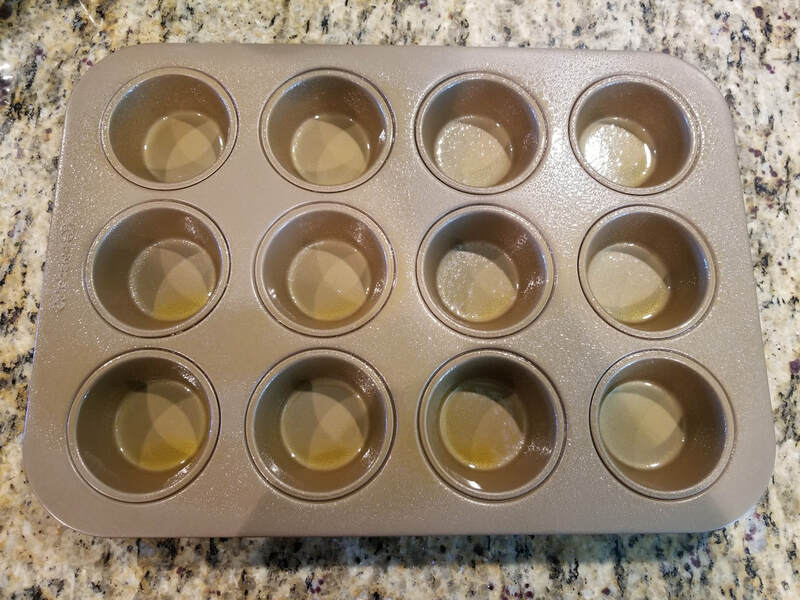 In a large pyrex container, preferably with a pouring spout, crack 9 - 12 eggs into it. 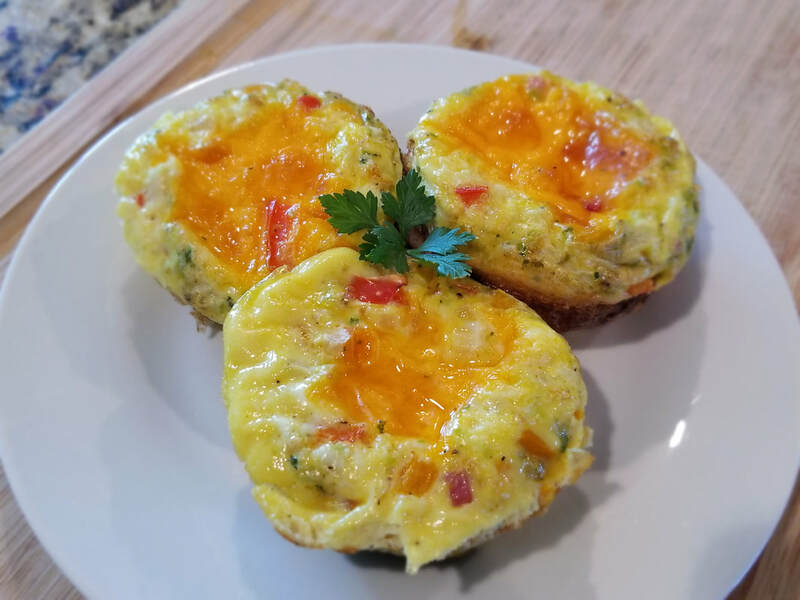 (The more fillings you use in this recipe, the less eggs you will need; Keep this in mind to prevent spillage when the eggs cook in the muffin tin.) Remove the little white parts near the yolk if you so desire. Add in your seasonings: 1 tbsp epis, 1/2 tsp Goya Adobo, 1/4 tsp Seasoned Salt, black pepper and salt to taste. Add in the 1/4 cup of milk and whisk everything throughly until well combined. 2. 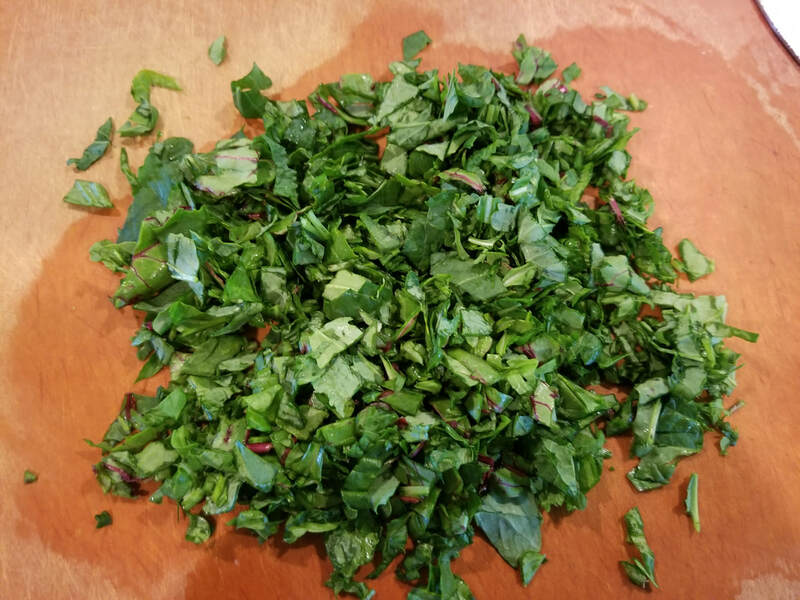 Finely chop some greens (I prefer spinach) until you have about 1 cup worth, packed. 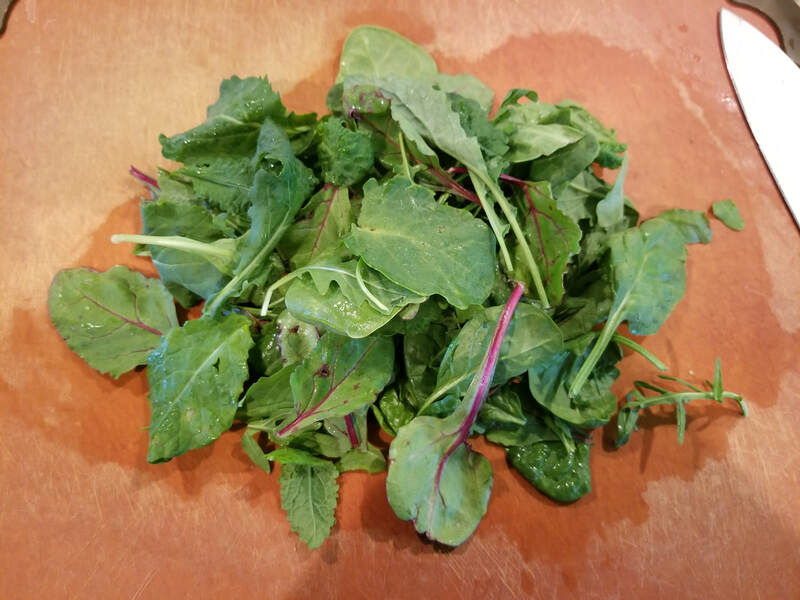 Below is a baby kale, swiss chard and spinach mix which is also an excellent choice. 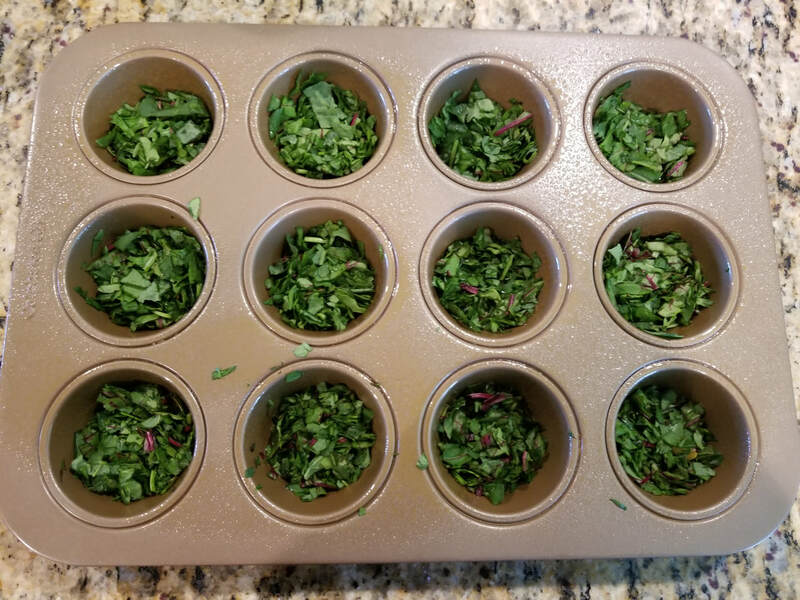 It may seem a lot but keep in mind how much greens shrink when cooked. 3. 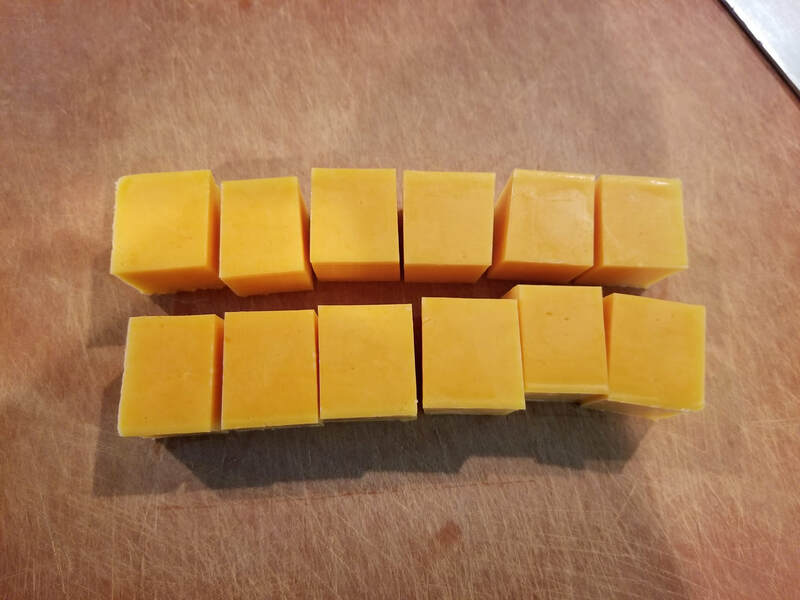 With your choice of an 8oz block of cheese, cut it into 12 equal cubes. 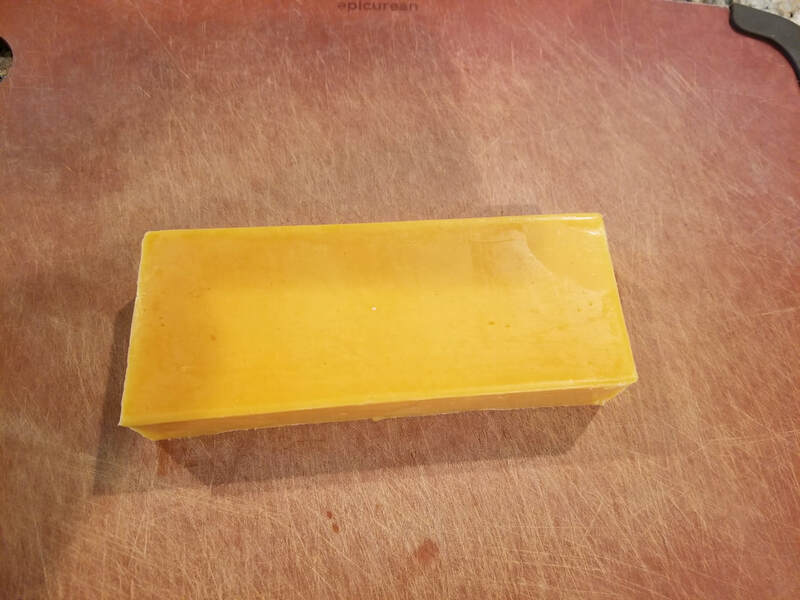 I'm using Mild Cheddar but other options that go well with this is Colby & Monteray Jack or Pepper Jack. 4. Now here is where the fun part begins. 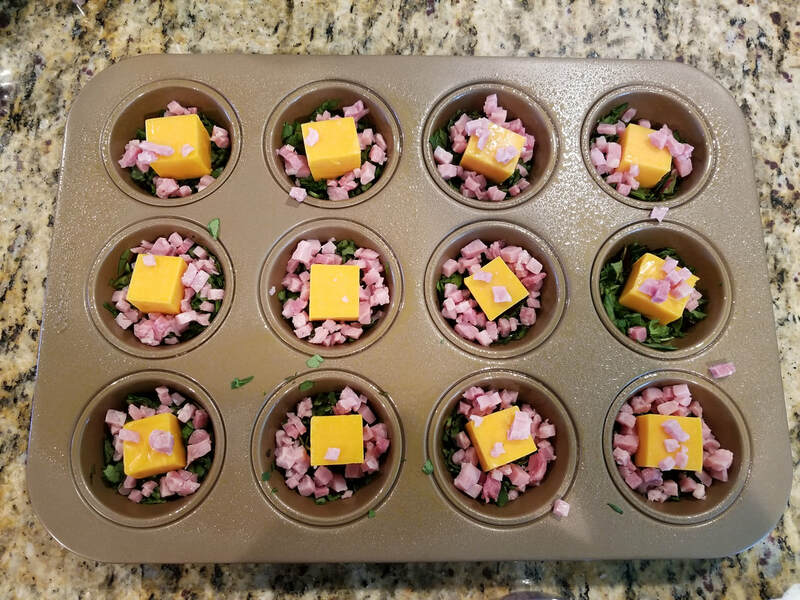 It's just a matter of assembling all the ingredients together in each individual muffin cup. 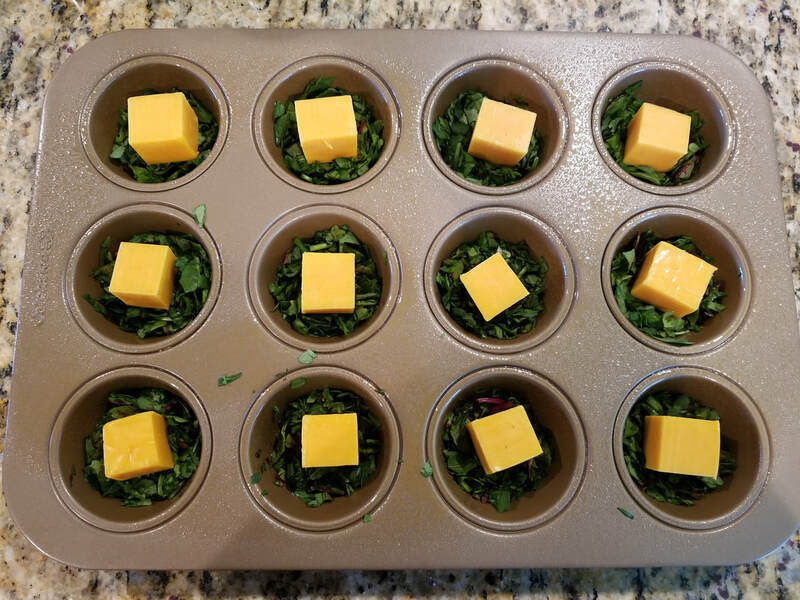 Spray the muffin tin with non-stick cooking spray and layer the greens evenly among each cup. To that, add a block of cheese to help push it down. 5. 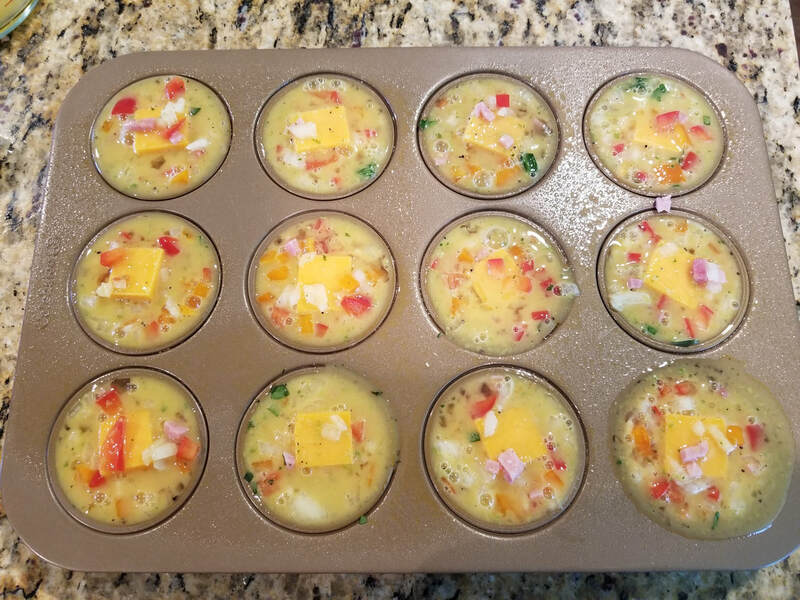 Continue to add to each muffin cup your remaining ingredients to where you see fit. 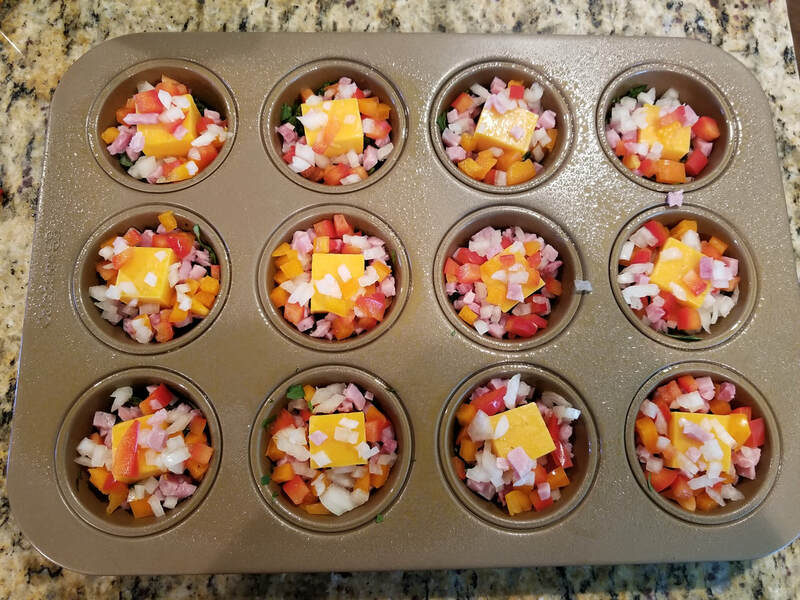 Diced ham (I've also used in the past diced hotdogs which I boiled first prior to adding to each cup), along with the diced bell peppers and onions. Try to avoid over compacting it with ingredients because it will need space for the eggs. 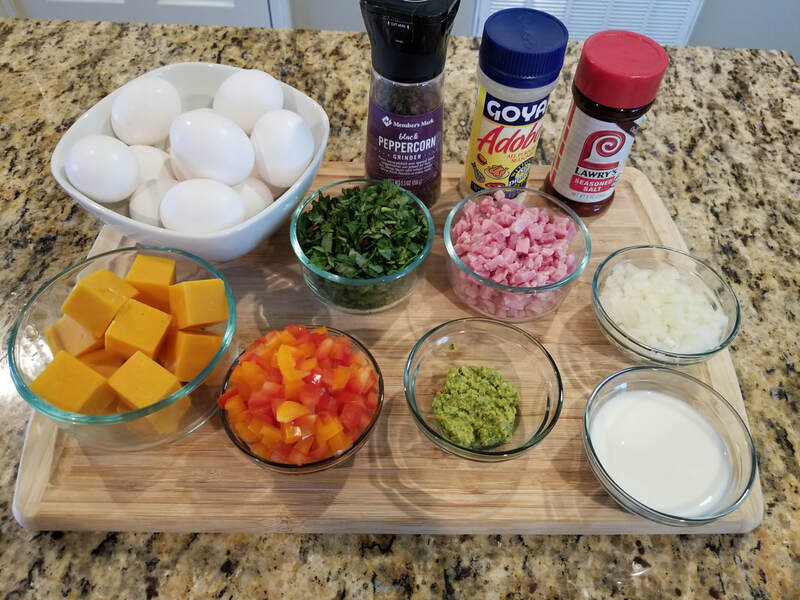 On the flip side, add as much or as little ingredients that you would enjoy in your eggs. *Other diced ingredients to consider: tomatoes, mushrooms, browned breakfast sausages, celery, deli meat, bacon, etc. 6. 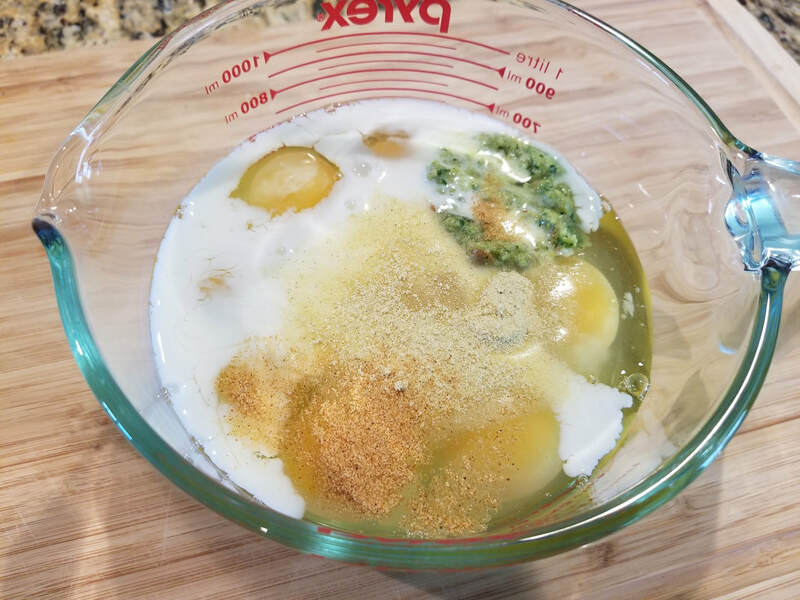 Pour the eggs equally among each cup. Be careful not to overfill it like I have done. 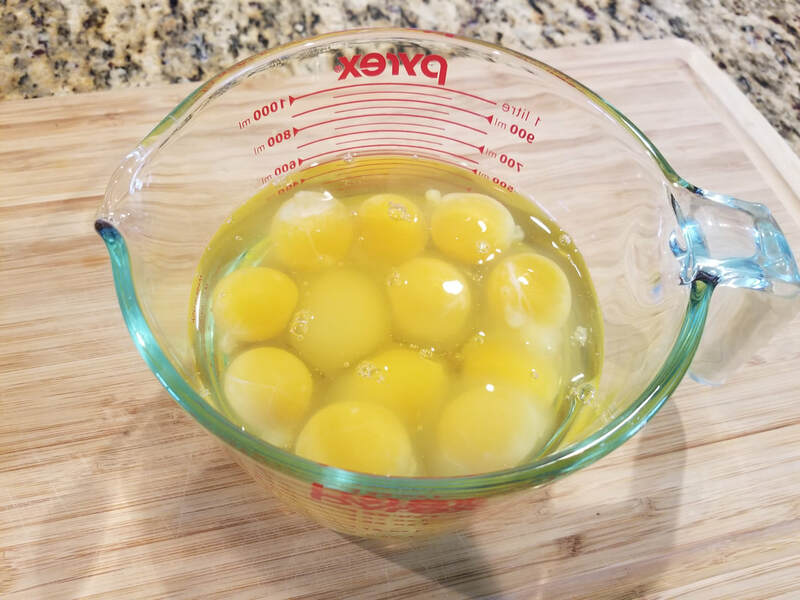 The eggs will expand and overflow as they cook so take that into consideration. Place it into a 350 degree preheated oven and bake for 25-30 minutes. 7. 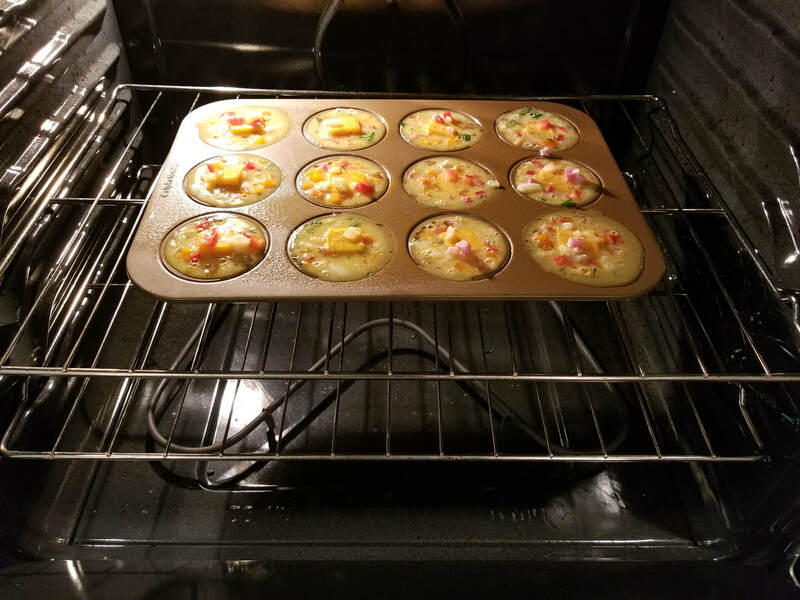 After the cooking time has elapsed, remove from oven and let it cool for a few minutes before removing the egg muffins from the tin. As they cool down, they will gradually deflate. 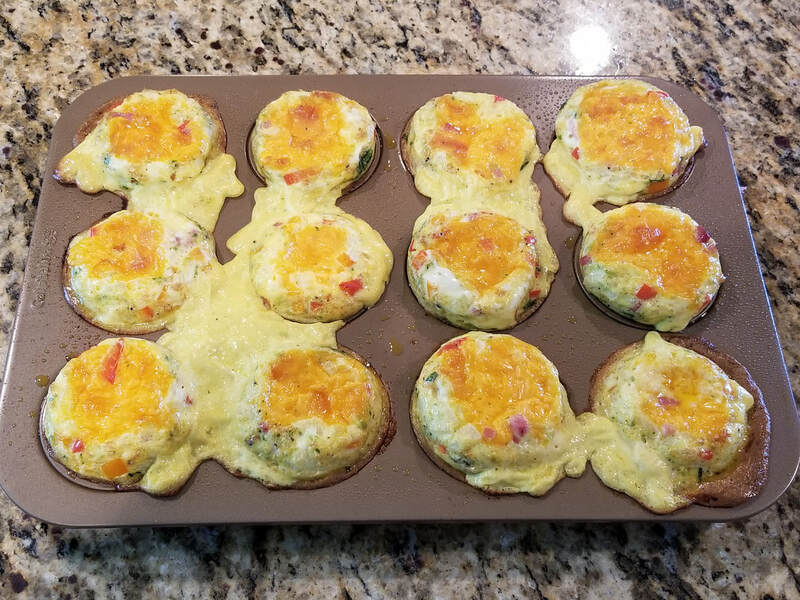 If you overfilled them with eggs like I have done here, you can easily cut off around the edges and eat off the excess. What do you think of this recipe? What fillings would you use?